Swimming is one of the most popular water-sport known to mankind. Intriguing fact though is, this sport has gained recognition and representation in prestigious Olympics debut since 1896. However women received representation only from 1916 in Summer Olympic games. Swimming is a sport which is highly energy consuming and capable to keep you healthy in the long-run. It is a low-impact yet high-density workout. There must be hardly anyone who would prefer going in for the traditional gymnasium work-out in favor of swimming. 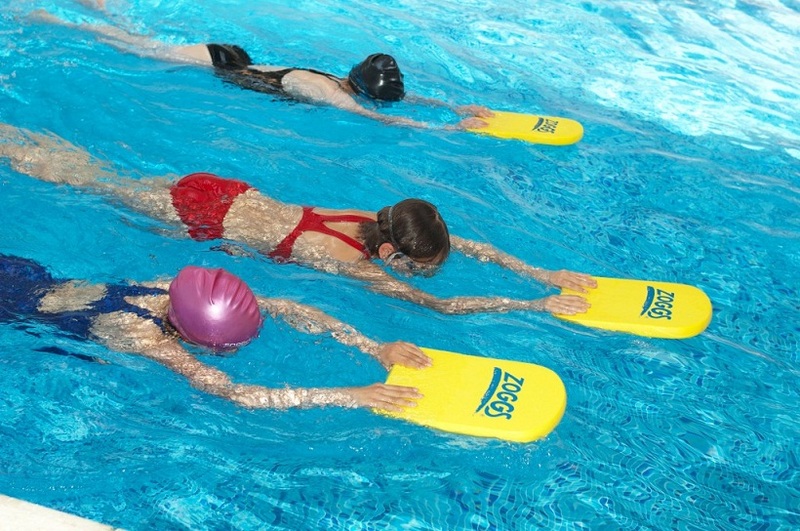 Kids love water and adults once introduced to this addictive sport cannot stay away from it. The effects on skin and hair van be reined on by usage of right serums and sun-screens. Barring them it is one water-sport which bestows a wealth of physical and mental health benefits to people. It is also a very important survival tool one can have at their disposal. Well, did you know that swimming a 20-minute bout thrice a week is more beneficial in losing weight more than walking or running? Perhaps yes or maybe no. Read on to find more about benefits endowed by this blessed water-sport. Cardiovascular health – No exercise is bad for your heart as long as it done in moderation. Swimming trains the mind and body for taking in oxygen more efficiently. Blood flow is improved and so is the heart rate. This provides you with more energy and vitality to perform day-to-day tasks better. 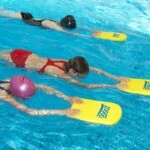 Good for people having arthritis – People having arthritic joints and joint pain are recommended swimming. Water aerobics is beneficial for protecting arthritic joints too. Walking inside water instead of performing laps offers benefits too. However, arthritic people shouldn’t rely entirely on swimming for their joint problems as it is not really enough for bone health enhancement. Good way to lose weight -As said before, swimming aides weight loss more than brisk walking or anything else. 650 calories are consumed in just an hour of swimming. So it is an extremely good mode to lose weight. Swimming not only aides in reducing your weight but also helps in boosting your metabolism. Stress-buster activity – Swimming has a similar soothing effect on one’s mind and body similar to yoga and meditation. Since swimming improves one’s concentration levels and also forces the swimmer to focus on his breathing erasing out all distractions. This naturally leads to lowering of depressive and stressful thoughts out from your psyche. Swimming helps people to relax faster. Reverses brain damage -Swimming an hour bout is known to reverse damage caused to the brain all thanks to decisions, situations and people giving you stress. This reversal of brain damage is known as “hippocampal neurogenesis.” Remember, when you are swimming stressed brain cells are replaced with healthy and strong new cells. So swimming also has plenty of benefits in terms of improving your gray cells. Decreases Cholesterol – Cholesterol is a fatty, wax-like substance found in cells in our body. It is essential for hormone production in the body. But when the good cholesterol that is HDL or High-density Lipoprotein over-rides the bad cholesterol which is LDL or Low-density Lipoprotein, it becomes detrimental to the body. Swimming is known to keep the cholesterol level in check and to keep it balanced. Increases lung capacity -Swimming keeps asthma at bay and improves functioning of lungs making them more efficient. The wet air in the swimming tank helps improve lungs function better, hence swimming is advisable to kids who suffer from early stages of asthma or have symptoms of it. Flexibility – Swimming requires you to stretch, twist your limbs and wade through water without drowning against current of water. This makes the body flexible. Swimming forces you to stretch out your body, in order to move forward in water. Endurance – Swimming increases endurance in runners who have opted for it while recovering from some other injuries. Experts recommend swimming as an anti-inflammatory therapy for the legs.